Using a Twitter Lead Generation Cards or Twitter Cards for short is a great way to turn Twitter followers and profile viewers into customers. 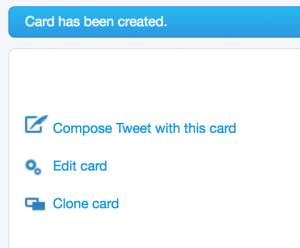 Twitter Cards have been around for a while, but I only recently looked at them when recommended to me by a colleague. She set up a Twitter Card to collect email addresses about 3 months ago. She has about 1,500 followers on Twitter and is averaging about 20 email addresses a month. 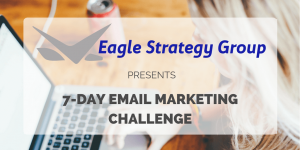 That is not a ton of sign ups, but the cost is free and it will be interesting to see how well these subscribers engage over time against your list average. 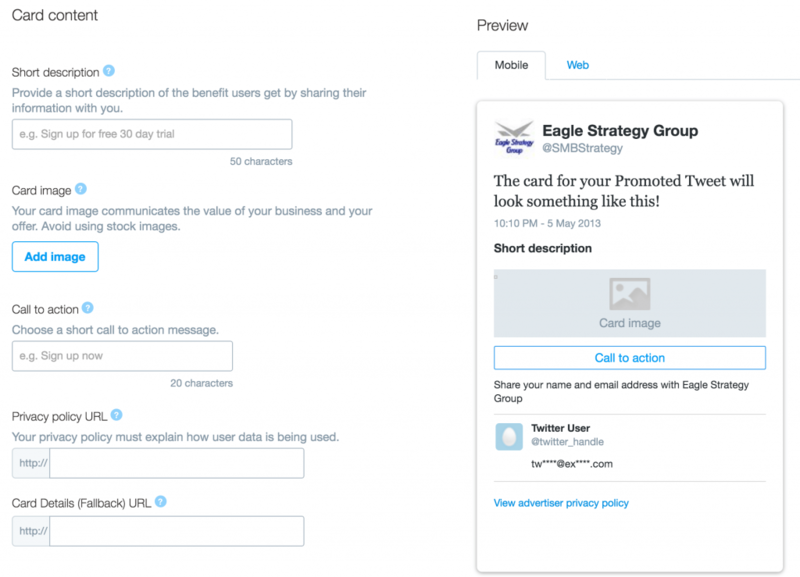 Before you create your first Twitter Lead Generation Card there are a few things that you need to consider. What will you be promoting and what is your goal? 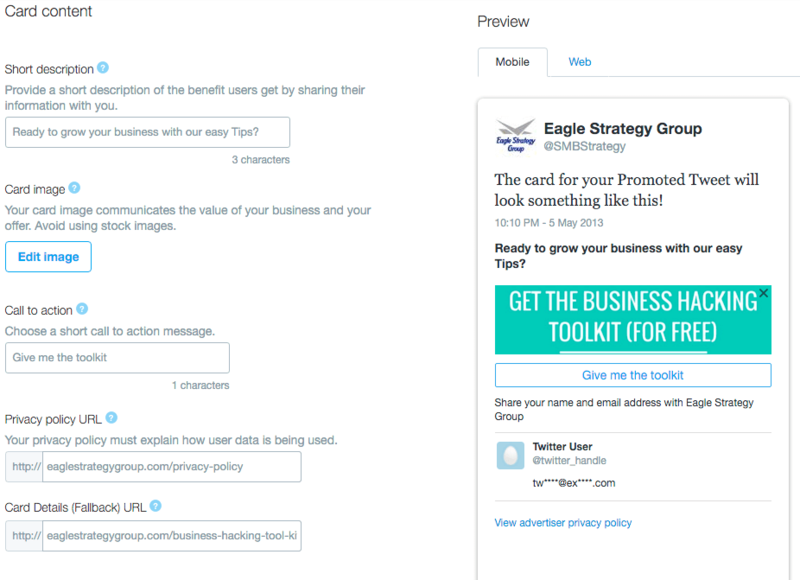 For this example, I am going to set up a Twitter lead generation card that promotes Eagle Strategy Group’s Business Hacking Toolkit. 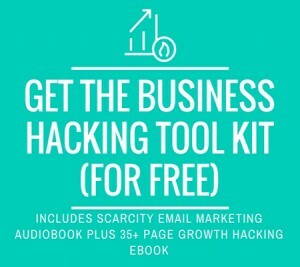 My card will collect email addresses, so I can send the Business Hacking Toolkit and add the subscriber to the Business Hacking email list. 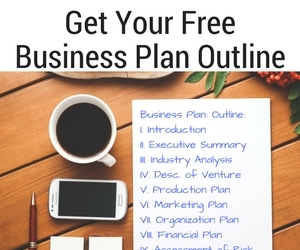 You should create an image for your campaign. Studies have show that tweets with images result in a higher engagement and I am sure the same is true for Twitter Cards. The recommended size for a Twitter post is 1024 x 512, however for Twitter Cards the recommended size is 800 x 320. You need to have a web page setup for users to find out more about you and your offer. 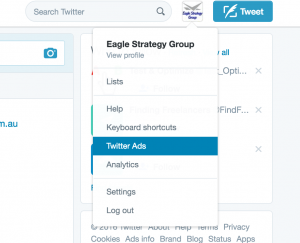 Click on “Profile & Setting” in the top right corner of your Twitter screen and click Twitter Ads. See the screen shot below. If this is the first time you have logged into Twitter Ads, you may be required to enter a credit card. You will only be charged is you choose to promote your Twitter Card. In the Twitter Ad menu, click “Creatives” and then “Cards” as shown in the screenshot below. Click the “Create your first Lead Generation Card” button. You will now be looking at the form shown below. Fill in the form and attach your image. My form looked like this when complete. There are some optional items at the bottom of the Twitter Lead Page form shown in step #6, Destination URL Settings and Data Settings. I highly recommend you set up the Destination URL. If the Destination URL is included, when the subscriber clicks on your Call to Action (CTA) and subscribes, they will automatically be directed to the Destination URL. If the Twitter user puts in their email, then they are in a buying mode. 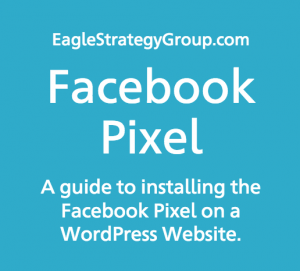 I send them to a “Thank You” page that includes a link to share on Twitter and other information about Eagle Strategy Group. At the bottom of the form give your card a name and click “Create Card” button. On the next screen click “Compose Tweet with this card” and a window will pop-up to create a tweet with the link to your card already populated. 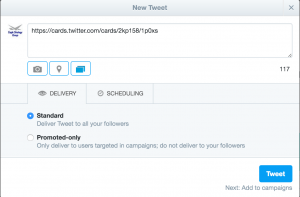 Add text to your tweet, select the “standard” radio button, either tweet now or schedule and send your tweet. On the next screen click “Finish”. Optional – Pin the Card to your profile. Go to your Twitter profile and find the tweet with your Twitter Card. 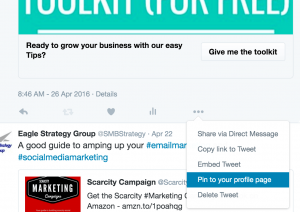 Click the “…” more menu option at the bottom of the tweet and select “Pin to your profile page”. 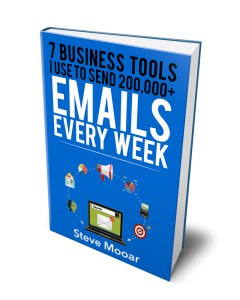 I hope “How to Create Twitter Lead Generation Cards to Grow Your Email List” was easy to follow. 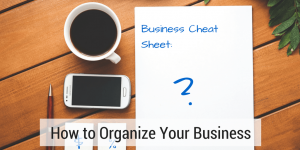 If you want more tips like this one, join our Business Hacking Newsletter to get the toolkit that includes the Business Growth hacking Tips eBook. 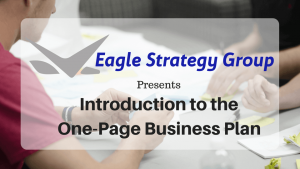 If you have any questions, use the comments section or send us an email at Sales@EagleStrategyGroup.com.